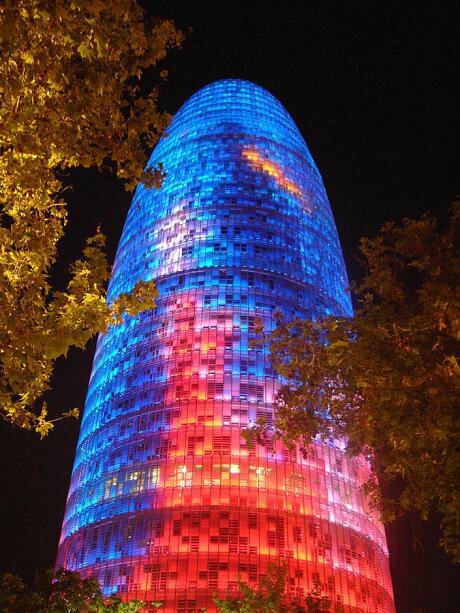 Torre Agbar, Barcelona, 2007. Wikicommons/ Alexander Z. Some rights reserved.When the citizen platform, Barcelona En Comú, crowdsourced its manifesto for the Barcelona city elections in 2015, its most popular proposal was to remunicipalize the city’s water company, Agbar (subsidiary of the multinational, Suez Environnement). Three years on, the government is locked in a struggle for remunicipalization that epitomizes the concerns of the new municipalist movement: protecting the commons, challenging corruption, and harnessing the symbiotic relationship between institutional and non-institutional politics. The motives for remunicipalization are numerous: a global study by the Transnational Institute in 2015 concluded that towns and cities that remunicipalize their water tend to enjoy increased quality and lower tariffs for consumers. Barcelona is no different; the water rights platform Aigua és Vida estimates that water rates set by Agbar-Suez in Barcelona are 91.7% more expensive than those in neighbouring municipalities that manage their water publicly. This is particularly important in the Spanish context, where 17% of the population suffers from “energy poverty”, meaning that they face hardship in paying their electricity, gas or water bills. In Barcelona, where 10 information points have been set up since 2015 to advise citizens on their energy rights, over 170,000 people have been found to be suffering from this specific kind of poverty. Economic arguments aside, remunicipalization is also motivated by an understanding of water as a human right and an essential element of ecological sustainability. According to these principles, water should be governed as a commons, that is, owned and managed collectively and democratically by communities, rather than run for profit. Indeed, in Barcelona, the perverse effects of allowing private companies to manage basic resources are all too clear. In 2012, a public-private water partnership between Agbar-Suez and the Metropolitan Area of Barcelona (AMB) was created to manage water in 23 municipalities, including the city of Barcelona. The deal gave a 15% stake in the new company to the metropolitan government and an 85% stake to Agbar. However, in 2015, a report by the Catalan Anti-Fraud Office revealed that the partnership was created behind closed doors, without a public tender, and raised questions about the real value of Agbar’s investments. A subsequent ruling by the Catalan High Court of Justice declared the 2012 concession null and void, thereby opening the door to remunicipalization. The water giant’s only hope now is that the Supreme Court rules in favour of its appeal to restore the contract. But things aren’t looking good for Agbar. A recent audit by the Barcelona Metropolitan Government has confirmed that Agbar inflated the value of its investments in the Barcelona water company by 346 million Euros. At the same time, the people of Barcelona are mobilizing for remunicipalization, taking advantage of a new participation tool introduced by the city council: citizen initiatives. This year, for the first time, anyone who collects over 15,000 signatures of support can call a local referendum relating to local laws and policies. The citizen initiative for water remunicipalization, promoted by over 30 civil society organizations, including Aigua és Vida and the Barcelona Neighbourhood Association, almost doubled this target, collecting 26,389 signatures in the two month window. It will be put to a non-binding city-wide vote alongside three other initiatives this June. But Agbar-Suez clearly is afraid of losing its grip on Barcelona. While its plan A is to maintain its concession and stop the vote through the courts, it’s already started its ground campaign in case the referendum should go ahead. The company has launched a huge marketing operation in recent weeks, flooding advertising space on local TV, radio and billboards and sponsoring community initiatives in an effort to clean up its image. This activity is funded, ironically, by Barcelona residents themselves, via those extra high water bills. It’s become politically fashionable to talk about citizen participation, but too often the idea is reduced to a slogan and participation is employed only at the margins of decision-making. The belligerent legal reaction of Agbar-Suez to the citizen initiative shows that real economic and political power is at stake in the Barcelona referendum. The city government is betting that, with the support from ordinary people at the ballot box, it will be able to take on opposition parties and the global private water lobby and win.